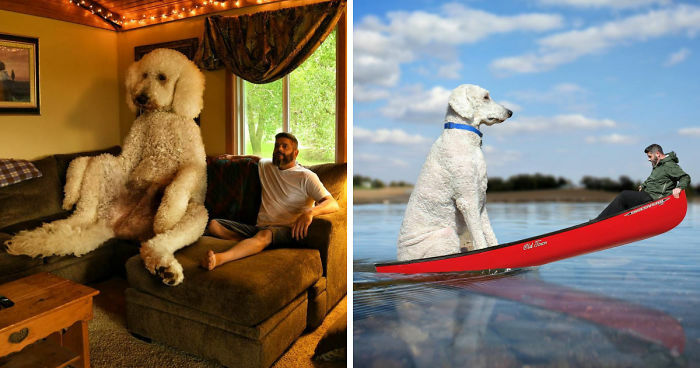 Juji is an adorable Goldendoodle in real life, but for more than 115k followers on Instagram he’s a giant dog who goes on all sorts of adventures together with his owner, Christopher Cline. Cline is an American photographer with an endless imagination who uses Photoshop to create this amusing photo series. A while ago he moved from Virginia to Minnesota, and this change made him slowly “slide into a sad place in life," until his girlfriend came up with an idea that getting a dog might actually be a good solution here. Although Christopher wasn’t keen on getting a dog first, turns out Juji was the best gift he could ever receive. Photographer started creating amusing Photoshop manipulations featuring himself and his wonderful dog who he turned into a giant. They both go on incredible adventures – from surfing in the ocean or fishing on a frozen lake to getting lost in a jungle or even flying in an open space. This new activity brought all his inspiration back and today he feels thankful for his amazing dog who turned Cline's life upside down. Scroll down to witness their special bond for yourself. I would want a dog like that! This is a really cool photo. I sure hope that dog is house broken! Goldendoodles are the most affectionate dogs. What an adorable photo! For some reason, this one reminds me of Die unendliche Geschichte (Endless Story). Does this remind anyone else of Calvin and Hobbes? this one is the winner !!! *sniffle*... they grow up soo/too fast!! Must be ice hockey fans. ahhh... that's how you groom your dog! It’s that a C.H.O.M.P.S reference I see? "He's doing that creeper face again isn't he..."
BEST of the group! That look on the dog's face is great! You're gonna need a bigger boat! 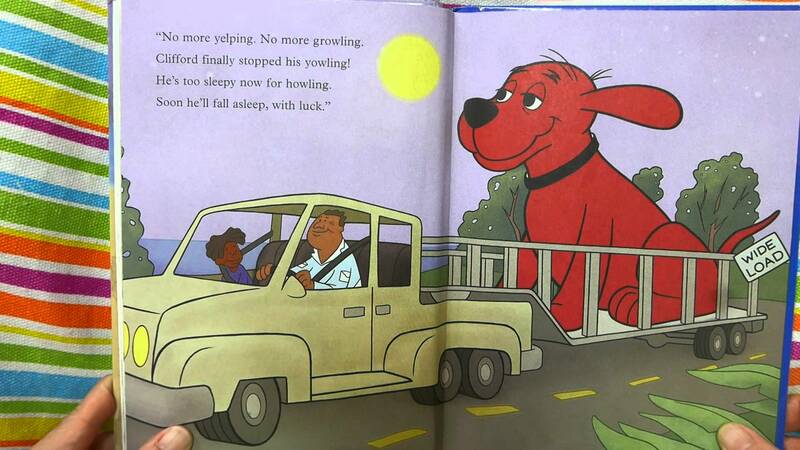 YOU'RE supposed to be pulling! the NEW AND IMPROVED :indiana jones 2005 remake. RUN. yep "puff, puff", i can still pick him up "errghhhhh, puff"...take the picture! waiting for breakfast. whaaat? you can have breakfast anytime! yeah. sure. sit there and watch while i do all the work. Like this one over nr 16. Fun Fact: Poodles are pointers. They were used for hunting in the olden days. The only team that matters! (Yep. I'm from Minnesota) GO VIKES!! I want a big dog. Animals and Music and Water. Three of the best things!